Ceann-Iuíl walk in the shadow places and as warriors fight the ghost shadows that haunt the destiny of the soul. Ceann-Iuíl live in appreciation of their part and their connection to the holographic and pan-dimensional Universe. It is through their flames of passion that they illuminate the path for others. But to be such a bright and fierce fire, Ceann-Iuíl set their souls and hearts aflame; this is their willing sacrifice. The Apprenticeship of The Three Journeys; Tàilleabhach de na trí Aistear is a quest to discover the fuel of that fire, experience the flame of that fire and to surrender to the blaze of that fire in the service of others and the waiting Universal Divine. Tàilleabhach de na trí Aistear, trains students, (better considered as helping them to remember) for Initiation as Ceann-Iuíl; Lineage Pathfinders of Sagh’ic Tire Dhream; the Wolven Path Tradition. This is a re-enlivenment of an ancient North European Animist Tradition. The Tradition calls to the Ancestors for their wisdom and to the Descendants for their enactment, reminding the Apprentices of the Transitory stand as servants for the Community and the Bridge between the First & the Last. Sagh’ic Tire Dhream; The Wolven Path, into which successful Tàilleabhach seek Initiation, follows an Ancestral Lineage line to our First Ceann-Iuíl, The Son of the Land, The Wolf Walker, Bran Fhi Theach, the Dark Winged Raven, Damh an Ghrian, the Stag who holds the Sun, Torc Máthair , the Boar with the Moon in her belly, and Art an Tráthnóna, the Bear that sleeps. 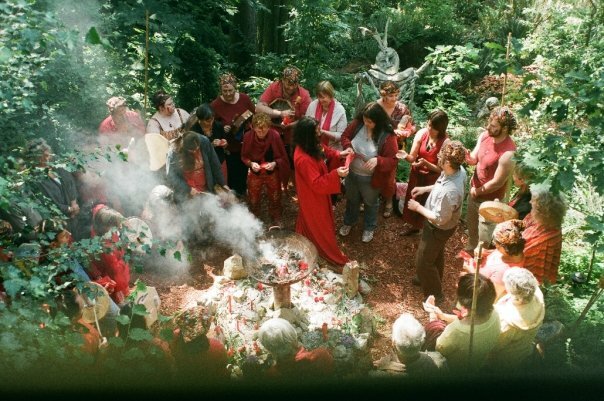 Tàilleabhach de na trí Aistear is both a personal expedition and a remembered odyssey of the Ancestors which explores in greater depth and awareness, the spiritual connection to the earthly incarnation, the processes, and rituals that create the dance of healing. The ethos of the Training Apprenticeship is to provide personal, intensive tutoring for small numbers of students. This enables students to work in a safe and continually motivating environment, which will allow the development of their spiritual selves.